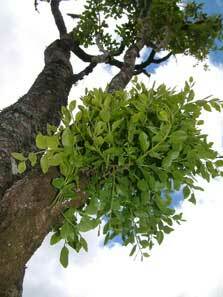 "The project known as the “Ōkareka mistletoe restoration project” was started in 2002. This project is based in the DOC administered Lake Tikitapu Scenic Reserve and neighbouring Lake Ōkareka marginal strip. 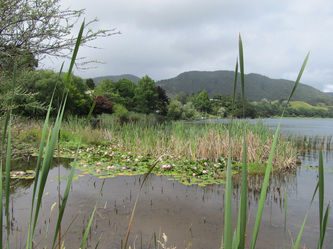 It is a joint community project undertaken between the Department of Conservation, Rotorua Forest and Bird, Rotorua Botanical Society and Bay of Plenty Regional Council. The focus of the Forest and Bird involvement is animal pest control in the Lake Tikitapu Scenic Reserve. 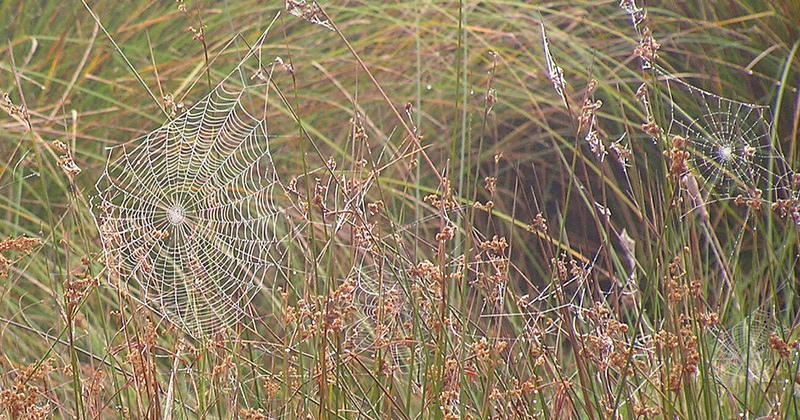 The Rotorua Botanical Society is focused entirely on weed control in the above two reserves with a secondary focus of restoring vegetation in some areas following weed control. Bay of Plenty Regional Council and DOC’s role involves technical advice, support and partial funding and/or provision of equipment for the groups involved in the project. Before the project began some joint visions, objectives and targets were established for the overall project. Cutting and removing exotic vines including ivy, jasmine, convulvulus, Japanese honeysuckle, blackberry, old mans beard etc from several areas of both reserves. Felling and hand pulling of cherriess, strawberry dogwood, Japanese walnut, wattles, Himalayan honeysuckle and cotoneaster trees and shrubs. While most of this work has been done by the society manually a small number of members have completed Growsafe training allowing them to use herbicides. This has allowed follow up knapsack control to be undertaken on some of the above species where required and for those species where manual control is not feasible such as large areas of wandering willie, aluminium vine and montbretia. Each of the existing weed control areas is remonitored each year and follow up control is undertaken as required recognising that this is a long term project and that follow up control is essential in order to achieve the target of zero density for the key ecological weed species present. 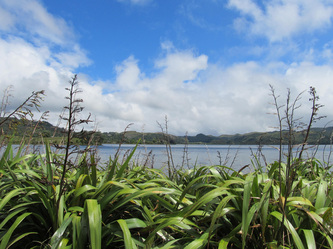 In addition to the ongoing weed control the Botanical Society has undertaken a revegetation project following the initial weed control in one small area of the Lake Ōkareka Marginal Strip. This was an area totally dominated by blackberry, convulvulus and Japanese honeysuckle which needed to be controlled and replaced by a cover of trees and shrubs to ensure minimise weed re-establishment. In 2004 and 2005 planting was undertaken to establish a forest and shrub cover to help suppress the weed problem. 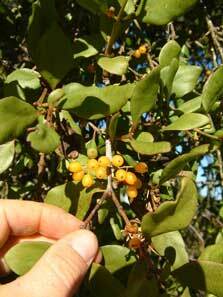 Another main reason for the revegetation project was to increase the available habitat for the native mistletoe species so the planting mix used was predominantly host species suitable for the parasite such as fivefinger. Time has been spent in the last 2 years releasing weed species threatening these plantings. The weed control and revegetation part of the overall project has been led and managed entirely by the Rotorua Botanical Society. The core component of volunteers at each workday have been members. However the Society has strongly encouraged the local community and other members of the public to assist with the work. To date there has been a small but consistent turnout of individuals from the local Ōkareka community to assist with the work. 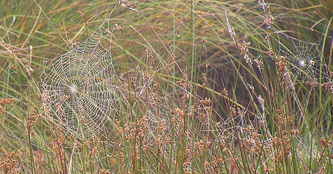 DOC and Environment BOP staff have not been required to assist on the ground with workdays since 2003 as the Rotorua Botanical Society has the in house skills and experience to manage the project itself but both organisations have provided assistance with equipment and advice from time to time. 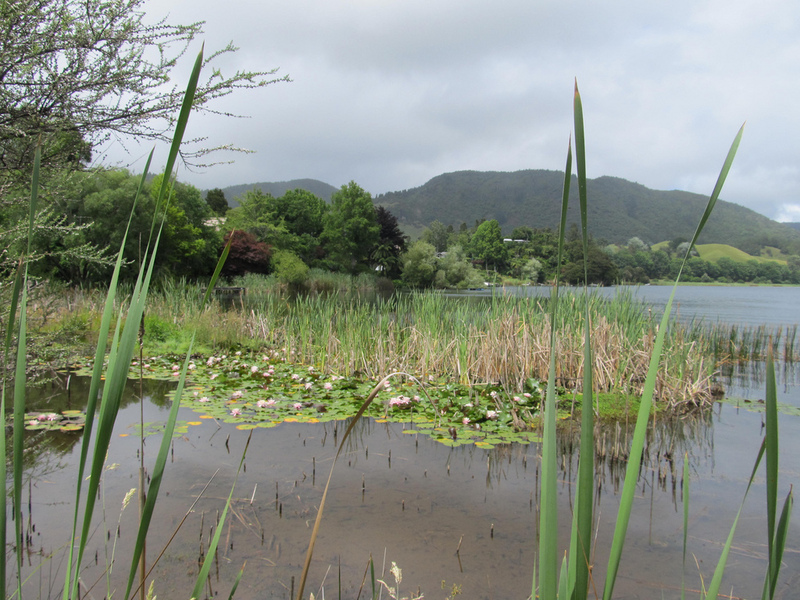 With the project now into its 11th year there has been substantial progress made by the Rotorua Botanical Society on the weed control programme and revegetation project. Most of the key ecological weed species targeted are at or close to zero density with weed species no longer directly threatening mistletoe plants as was the case before. The revegetation plantings are now well established and canopy closure is occurring in some areas, thereby reducing the amount of releasing required. that weed dumping in DOC reserves is unacceptable and is a leading cause of the weed problem and hence most of the dumping has now ceased from neighbouring properties! 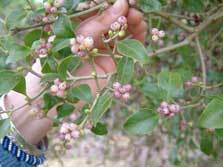 that the Rotorua Botanical Society is present in the community and is actively working to control key weed species and to restore mistletoe and its habitat. The society is committed to this project in the long term in order to achieve the desired outcomes."